Itâ€™s that sweet time of year again! The days are getting longer, the snow is melting and the birds are singing, but best of all if you have a sweet tooth â€“ the sap is running. Howard Hatch in his 1896 sugarhouse in Bradford. This weekend, some sugar makers are inviting the public to visit their sugarhouses to watch this good stuff in the making. In Vermont, visit: http://www.vermontmaple.org/open-house-weekend.php and in New Hampshire visit: http://www.nhmapleproducers.com/weekend2011.html to find an open house near you! 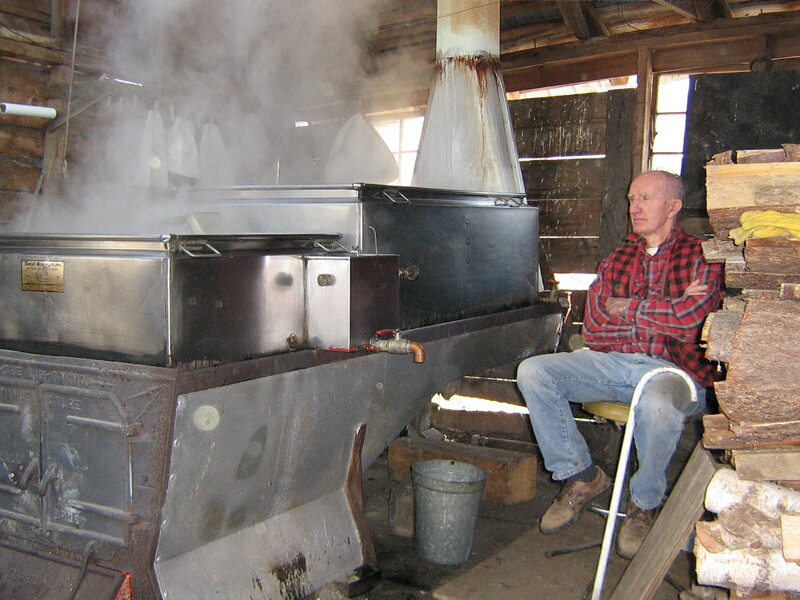 Where in the Upper Valley do you get your maple syrup?